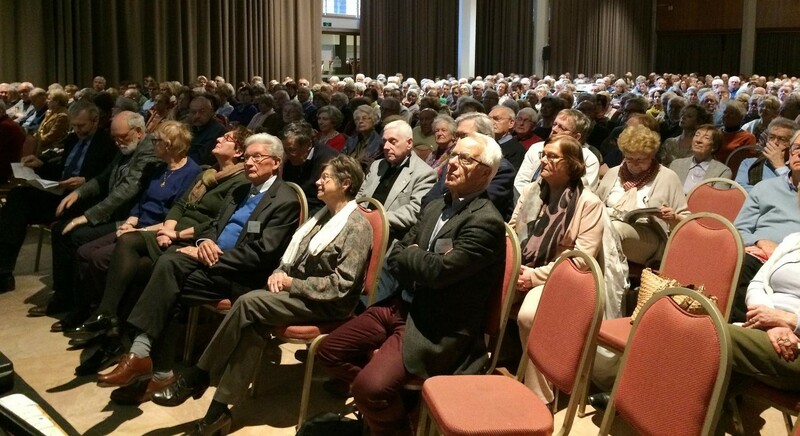 More than 600 persons gathered in the premises of the Third Age University in Bruges, Belgium, to listen to Secretary-General Yves Leterme as he delivered a presentation and answered questions on the state of democracy around the world. In his speech, the Secretary-General highlighted the holistic approach that International IDEA takes when analyzing democracy based on five attributes: Participatory Engagement, Impartial Administration, Checks on Government, Fundamental Rights and Representative Government. Based on the analysis from the Global State of Democracy and its Indices, Yves Leterme outlined some key challenges faced by both established and emerging democracies alike such as democratic backsliding, corruption, populism, migration, lack of trust, uberisation of politics, and ICT and democracy. In spite of the severity of these challenges and the importance of them being addressed by public authorities, civil society, academia and the general public, Mr Leterme concluded by also highlighting some of the opportunities and democratic gains experienced in the past decades, such as an increased representation of women in national parliaments and the increased possibilities for collaboration, participation and information sharing via new technologies. Adina Trunk’s advises the Secretary-General on matters relating to the research of International IDEA, political trends around the world, relations with external stakeholders, internal and external events and speeches, and the strategic directions of the organization.